Top producer of trophy mountain lions.Great houndsman with unparalleled success, Even on dry ground! With a team of three guides and 52 dogs this outfitter is relentless in his pursuit of cats.You will not be disappointed. Comfortable accommodations and meals included. Hunt the Kootenay's in western Canada.These hunts are conducted in the winter months (Dec. and Jan.),by 4x4's and snowmobiles to access remote country. Being in good shape is recommended.This hunt specifically targets trophy toms.You will be hunting with superior Treeing Walker Hounds, tracker and guide and success runs high.Several B&C cats have been taken over the years. Can also combo hunt with Lynx, Bobcat and/or Wolf. NOTE: Hunter can add Lynx, Bobcat and/or Wolf to hunt @ $500.00 per animal plus $750 Trophy Fee on harvest. Hunt the spruce forests and thickets of Maine for this cunning feline with a seasoned Houndsman.This hunt can be a rewarding experience for even the most advanced hunter. This rarely seen predator of the north woods is a true trophy that will test the skill and endurance of both hounds and hunters.Your typical day begins with an early morning breakfast and then you are off in 4x4's or snowmobiles searching for fresh bobcat tracks in the snow.Once a mature track is found the dogs will be cut loose and the chase begins. Just witnessing the determination and skill of the hounds as they pursue this animal is unbelievable and part of the overall hunting experience.The culmination is when the cat trees, bays up or circles ahead of the dogs for a quick shot. Success runs very high on cats that average 20- 25 lbs.However cats are taken each year that go between 30-40 lbs. Being in decent physical condition is recommended as you may have to walk long distances in deep snow. 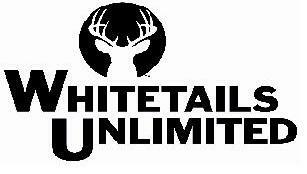 Hunts take place from Dec.1st through Feb. 14th.This hunt requires good snow conditions. If conditions are poor, your hunt will be rescheduled for a better time to enhance your success. Texas offers a large variety of different varmint species including bobcat, coyote, badger, fox and mountain lion. This is one hunt where the hunter is truly tested with his skills against nature. Whether working mouth calls or electronic, at any moment you could be face-to-face with a unique trophy. 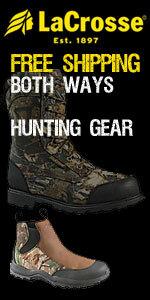 Hunts are conducted year-round and include meals and lodging. Northern Ontario wolf hunt. Unique method of baiting and tracking wolves. Once located, hunters are positioned to wait for “wolf drive”to begin. Outfitter and guides will pursue the wolves on foot and push the wolves past hunters. Good action and anticipation. Unlimited harvest of wolves. Lodging and meals included.